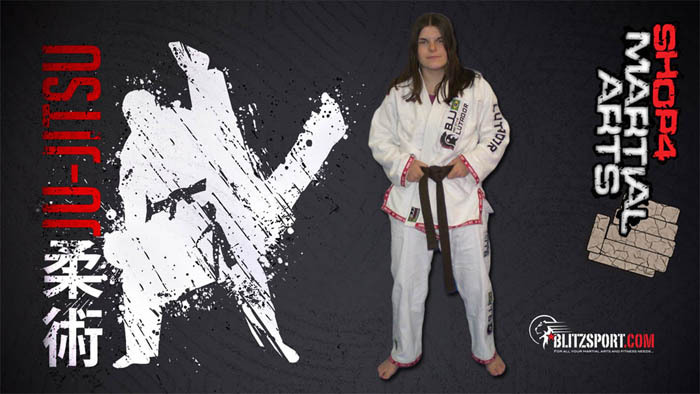 Movement and footwork plays a big part in martial arts. 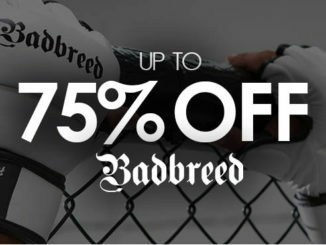 Whether you’re on the mat barefoot, pivoting on the ball of the foot of your leading leg for a powerful roundhouse kick, or wearing boots and sidestepping to evade your opponent in your boxing match, ensuring your fluidity of footwork on the mat or canvas is paramount for delivering good technique. Whilst many martial arts are practiced and performed barefoot, there are others that involve the practitioner wearing footwear such as kali, silat, boxing, wrestling and kung fu. For boxing, the enhanced grip that boots provide allows the boxer to move around the ring without slipping to evade and punch their opponent. In a similar way, boots allow wrestlers to navigate the mat to shoot and sprawl without slipping for a more accurate takedown. 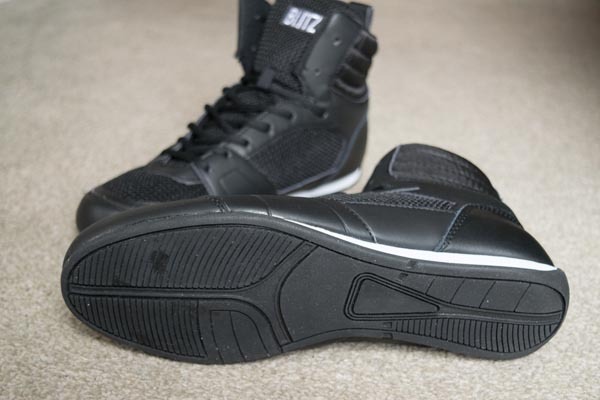 In this review, I’m going to be taking a look at the Blitz Titan Boxing Boots. Arriving packed in a shoe box, the Blitz Titan Boxing Boots are a cut just above the ankle, allowing for more movement than the high top boots yet still providing ankle support. The boots themselves are only available in black but Blitz have given the option of jazzing your boots up by providing extra laces in blue and red in addition to the black laces that come threaded in the boot as standard. The boots come with a grippy, rubber sole which is flexible at the toes and cushion at the heel, allowing you to bounce more on your feet. The sole is black and non-marking so it won’t make a stain on your gym’s mats when you train. The upper of the boots are a mixture of Nama Hide synthetic leather and mesh. The Nama Hide is present at the toes, sides of the boot and around the heel area – all the major stress points you would expect a tough, durable material to be. Though it may be synthetic leather, it feels quite thick and substantial and to date hasn’t torn under use. The use of synthetic leather is a bonus for vegan boxers or wrestlers who are looking for boots that aren’t made from animal leather. 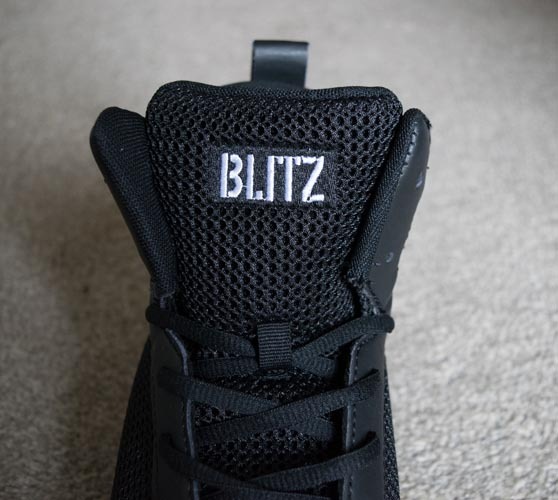 The mesh sections of the boot can be found on the top of the toes, sides of the foot and at the padded tongue, the latter of which is embroidered with the text ‘Blitz’. The mesh material allows the boots to breathe better when being worn to help keep the feet cool during training. This is ideal as feet easily get hot and sweaty when bouncing around, shooting and pivoting so allowing the boots to breathe better making your feet more comfortable inside the boot. The top collar of the Titan Boxing Boot is quilt ribbed with padding for comfort with a pull-on loop attached at the back to help you get your boot on when getting ready to train. Boxing boots, though being named as such, aren’t exclusive to boxing. A great number of grapplers, particularly those who train variants of the catch-as-catch-can wrestling style, are known to wear boots when wrestling. 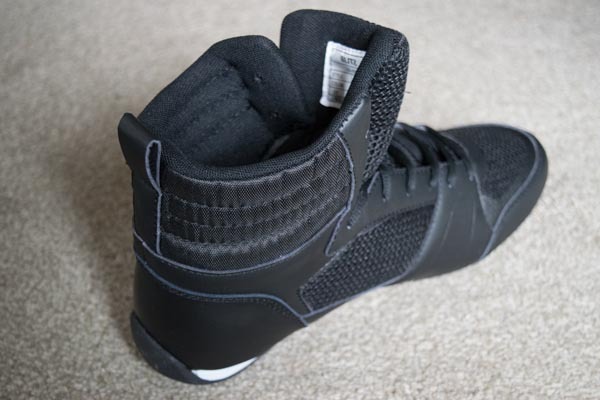 These can be wrestling specific boots or low cut boxing boots such as these Titan Boxing Boots from Blitz. As CSW grapplers, we can train with or without boots at our gym. In the winter time when the gym is colder, I always like to don the boots. With the feet being the first to feel the cold and the last to warm up on your body, at least with me anyhow, a good pair of boots can mean the difference from a good training session and a not-so-great one. I’ve even slipped the boots on during Ju-Jitsu class when wearing the gi for newaza training. The boots come up true to size and are comfortable to wear. As CSW requires a lot of stood up movement for takedowns and clinch work, having good grip whilst on your feet is important. As the sweat begins to drop on the wrestling mat, it’s so easy to slip in bare feet so the boxing boots are ideal to retain grip, ready to shoot for a double or to evade and sprawl. Most of the time training is spent on the ground, defending and attacking for positions before finding and locking in a submission. Positions often including taking the back and getting your hooks in so boots need to be light, flexible and certainly not cumbersome. I found these boots to be suitable for the job in that they fit snugly against my feet to allow me to move around my training partner for the star drills, and to get my hooks in and out where necessary to hook and trap my partner’s legs. Whilst grappling, you can quickly get warm as you’re often moving around your opponent looking for the dominant position. In these moments, I expected my feet to get warm and sweaty due to wearing footwear but I found these boots comfortable during training, even during the more intense rolling sessions later on, as the mesh does indeed seem to allow the boots to breathe and keep the temperature steady and cooler within the boot. When sprawling or shooting for a takedown, it’s so easy to go over on your ankles if you’re not careful. The Blitz Titan Boots are cut just above so my ankles are contained within the boot which provides more stability and support for the ankle. As you can move in a variety of directions at any given moment due to the sudden nature of wrestling, needing to pivot and backstep or drop and slide, the grip which the boots provide is enough to keep you balanced but gives you a bit of leeway so you aren’t glued to the mat. The Blitz Titan Boxing Boots are comfortably and lightweight, and are up to the demands of what wrestling requires from a pair of boots. 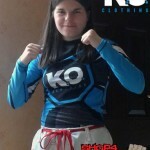 They’re well made and durable enough to withstand usage of both stood up movement and ground work, the latter of which requires flexibility as the wrestler is predominantly on their toes, be it breaking guard, defending or moving around the body. The extra laces are a nice touch considering the boots are rather plain in appearance save for the streak of white from the cushioned sole. Black goes with most colours though and looks rather smart though the red and blue laces certainly make the boots stand out should you wish to use them. These boots do everything that you need them to from a wrestling standpoint. 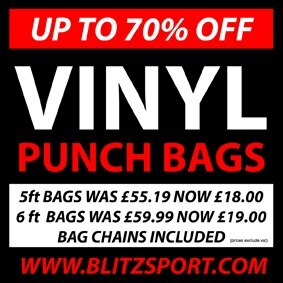 They offer the support and grip that a grappler needs when tackling an opponent and I’m sure they’d be suitable too for the sport of boxing which they’re initially targeted for. 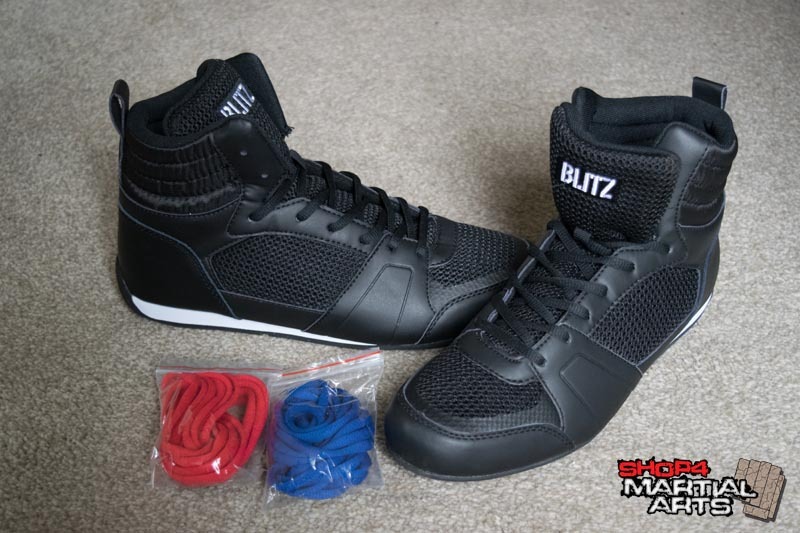 A quality, budget boot from Blitz Sport, the Adult Titan Boxing Boots tick all the boxes without breaking the bank.